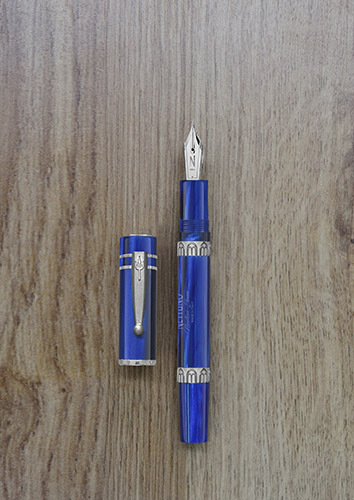 Maiora Pen is producing the Nettuno 1911 Collection, a pen with a long history in Italy. 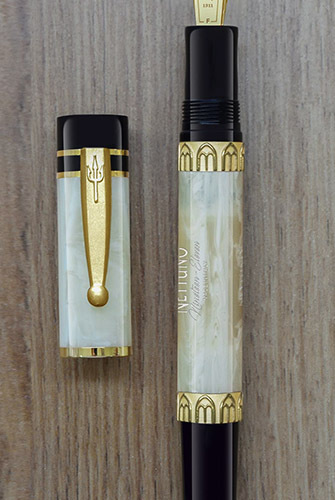 Nettuno was founded in 1911 making it one of the oldest pen companies in Italy. They produced their pens for some time. Under an agreement, after Aurora acquired the Firma di Bergamo Company, Aurora manufactured, sold and distributed some of the Nettuno designs. 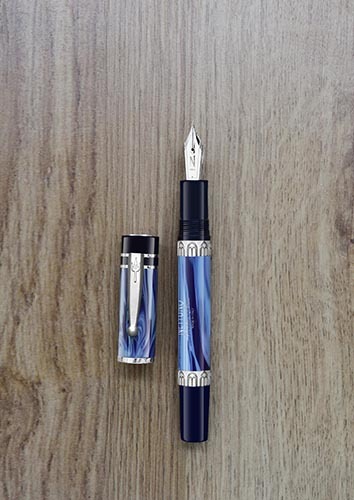 Now the Nettuno 1911 Collection is being made by Maiora Pen in Naples, headed by Nino Marino. Each of the lines are available in a Fountain Pen, Ball point or Roller Ball model. I understand the nibs to be available in Fine and Medium widths. 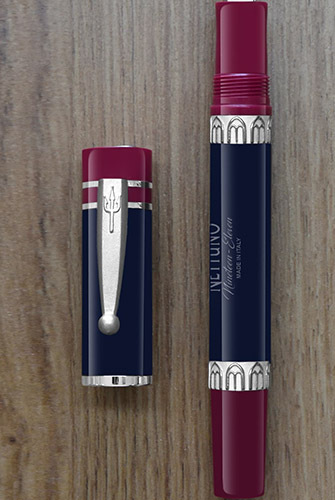 The Nettuno is a pen with a grand history. 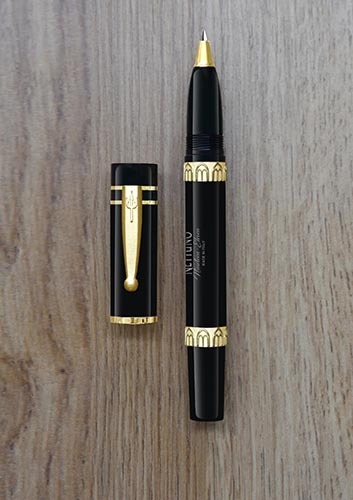 Originating in Bologna, Italy, Umberto Vecchietti brought this pen and creating the Nettunno brand to market. Named after Neptune, the Roman god of the sea. Various pens followed made by both Stipula and Aurora. 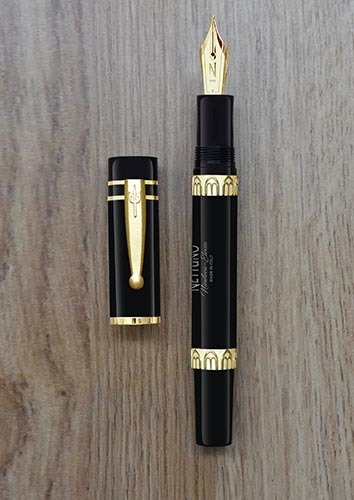 Now, the Nettuno line is being made by the Maiora Pen Company in Naples. 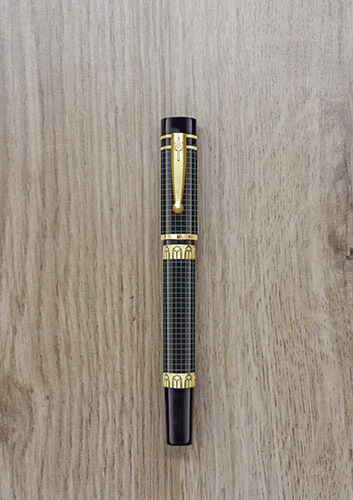 This new Nettuno 1911 Collection has pens available in various lines. Many are available as fountain pen, roller ball and ballpoint. 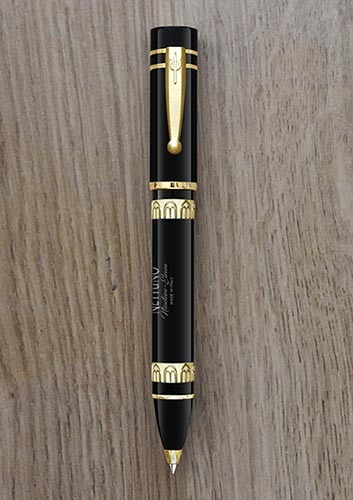 There are two versions of this pen. The body and screw on cap cap in black resin. One version has the trim with gold tone details, another with rose-gold trim. 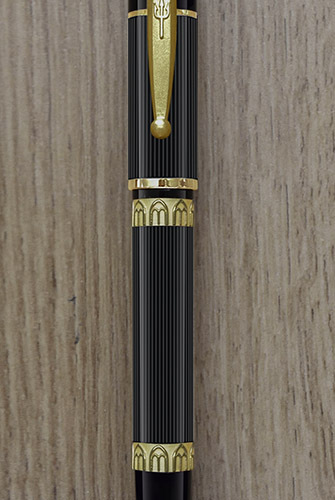 Fountain pen comes with a gold-colored #6 Bock steel nib. The fountain pen uses international size cartridges or a converter. Crono fountain pen. 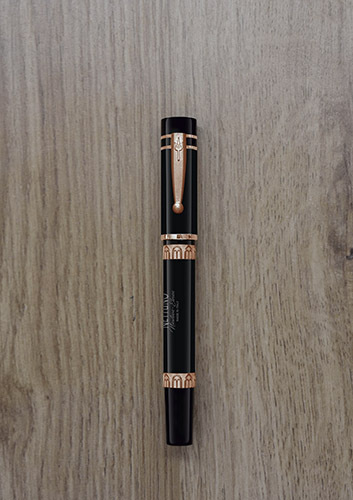 Black resin body and screw-on cap, trim in rose gold. 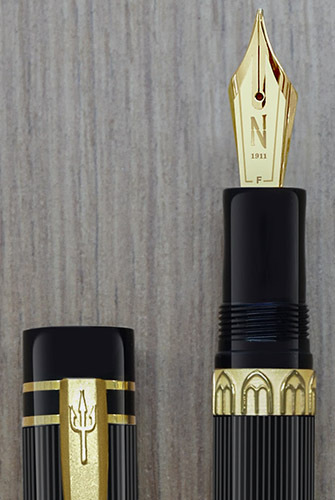 Fountain pen comes with a gold-colored #6 Bock steel nib. The fountain pen uses international size cartridges or a converter. Body and screw on cap cap in light and dark blue resin with navy blue accent tones for the nib section and the top of the body. Rhodium trim Fountain pen comes with a silver-colored #6 Bock steel nib. The fountain pen uses international size cartridges or a converter. Body and screw on cap cap in grey-silver resin with navy blue accent tones for the nib section and the top of the body. Rhodium trim. Fountain pen comes with a silver-colored #6 Bock steel nib. The fountain pen uses international size cartridges or a converter. Body and screw on cap cap in blue resin . Rhodium trim. Fountain pen comes with a silver-colored #6 Bock steel nib. The fountain pen uses international size cartridges or a converter. Body and screw on cap cap in a resin of white/cream tone with shades of gold. Trim in gold plate. Fountain pen comes with a gold tone #6 Bock steel nib. The fountain pen uses international size cartridges or a converter. Body and screw on cap cap in a rich dark blue resin with burgundy accents in the nib section and cap at the top of the body. Rhodium trim. Fountain pen comes with a silver tone #6 Bock steel nib. The fountain pen uses international size cartridges or a converter. 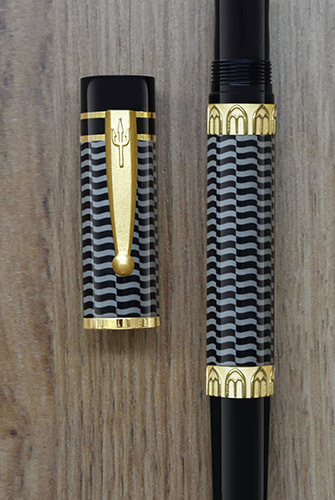 Body and screw on cap cap in a beautiful resin with a black and gray stripe pattern, with deep black accents in the nib section and cap at the top of the body. Gold-plate trim. Fountain pen comes with a gold tone #6 Bock steel nib. The fountain pen uses international size cartridges or a converter. Body and screw on cap cap in a beautiful resin with a black resin with a gray grid pattern, with deep black accents in the nib section and cap at the top of the body. Gold plate trim. Fountain pen comes with a gold tone #6 Bock steel nib. The fountain pen uses international size cartridges or a converter. Body and screw on cap cap in a beautiful resin with a black resin with a gray lines, with deep black accents in the nib section and cap at the top of the body. Gold plate trim. Fountain pen comes with a gold tone #6 Bock steel nib. The fountain pen uses international size cartridges or a converter.